Electrical and electro-mechanical products for new installations and maintenance including lighting, cabling and support systems, motor controlgear and protection and all related equipment. Supply, delivery and sourcing of specialized equipment as well as over the counter service. Our stock range complies with ISO and SABS standards. Ampmaster is BEE compliant and a level 4 contributor. 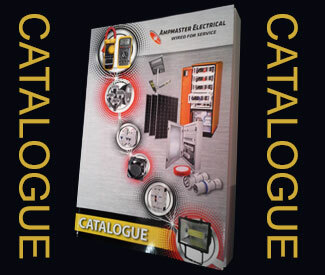 Stockists of: Conduit and Accessories, Lamps, Standard & Special Light Fittings, Instruments, Motors & Controlgear, Test Equipment, Switches & Sockets, Cable & Cable Support Systems, Heating Elements. Official Distributors for: AC/DC Dynamics, Legrand, Hellermann Tyton, Metabo Power Tools, Toptronic & Gewiss.